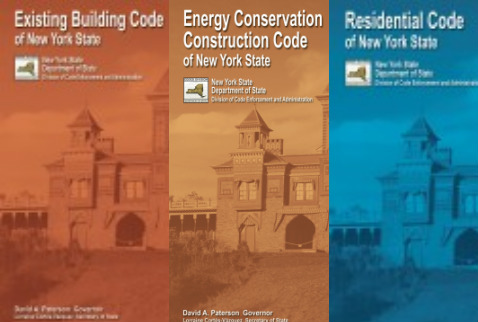 To maintain certification as a Code Enforcement Official, 24 hours of approved in-service training is required each calendar year (January 1 to December 31). Failure to complete the required in-service training will result in an individual being in default of the regulations. On-line training is available for individuals interested in obtaining a portion of their in-service credit through this means, but only 6 hours of online training may be applied to the 24 hours of in-service training required. Credit cannot be granted for attending the same course more than once a calendar year. To maintain certification as a Code Compliance Technician, 6 hours of approved in-service training is required each calendar year (January 1 to December 31). 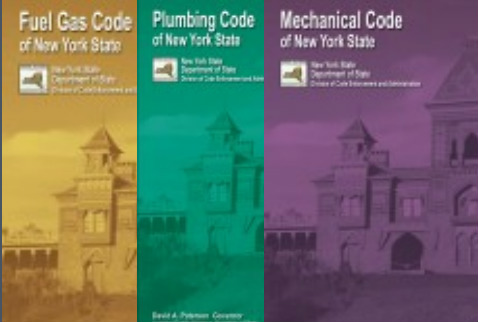 Recently, Title 19 NYCRR Part 434 Section 434.5(a)(2)(ii) was changed to give code enforcement officials an additional three months (with certain conditions) to obtain the required 24 hours of in-service training credits. 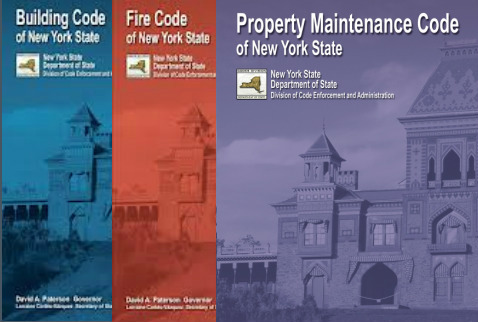 Title 19 NYCRR Part 434 Section 434.5(a)(2)(ii) now gives code enforcement officials not having 24 hours of in-service training credits by the end of the calendar year an additional three months, with certain conditions, to obtain the credits. The three month grace period ends March 31 of the following year. You complete 18 hours of in-service training between January 1, 2013 and November 2013, but realize that you will not be able to get another 6 hours of in-service training credits before December 31, 2012. So, in early December, you submit a "Notice of Intent to Use Extension for 2013." After the BSC Educational Services Unit determines you are eligible for an extension in 2013, you are notified and provided with a "Course Completion Reporting Form." You complete a 4-hour in-service course on January 12, 2014, and another 4-hour in-service course on February 3, 2014. You complete the "Course Completion Reporting Form" and return it to the BSC Educational Services Unit. The 8 hours of training from the in-service courses listed in your "Course Completion Reporting Form" will be credited to your 2013 training record, for a total of 26 hours. You will still be required to complete 24 hours of in-service training for 2014 between February 4, 2014 and December 31, 2014. You will not be able to use the three-month grace period again until 2017 for the 2016 calendar year's 24 hours of in-service training. This provision was established to address “EXTENUATING” circumstances that prevent completion of the required in-service training by the end of a calendar year. Since this extension is available only once every three years, use it ONLY when absolutely necessary! Upon receipt of your Notice of Intent to Use Extension...Form, the BSC will determine if you are eligible to use the extension for the year requested. If the extension is approved, you will be notified and provided with a "Course Completion Reporting Form." When you have 24 hours of in-service training, complete and return the form to the BSC Educational Services Unit. It is YOUR responsibility to provide the BSC Educational Services Unit with a list of the courses taken by MARCH 31 that are to be applied to the previous year’s training record. Courses will be credited in their entirety in the order in which they were taken. After you have at least 24 hours of in-service training for the previous year, 24 hours of in-service training are still required for the current calendar year.